As well as our huge selection of original found and restored antiques, we also stock the work of several fantastic designer makers. London based design duo Harry Dwyer and Charlie Waller have a wealth of experience between them, including inventing, electronics design, video directing, stop frame animating and engineering. They have been involved in many ambitious projects, most notably building the world’s first cardboard houseboat from waste cardboard in 2016. 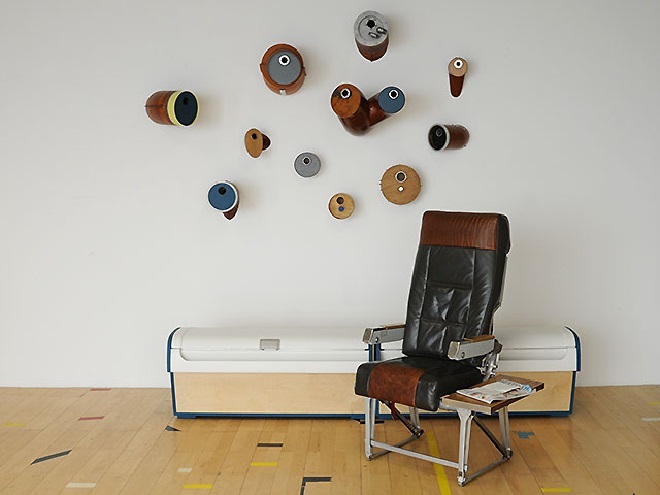 A selection of Bird Boxes, made from the air conditioning and fuel pipes from an Airbus 320. Available now on our website. Also in stock is this Trunk Bench. 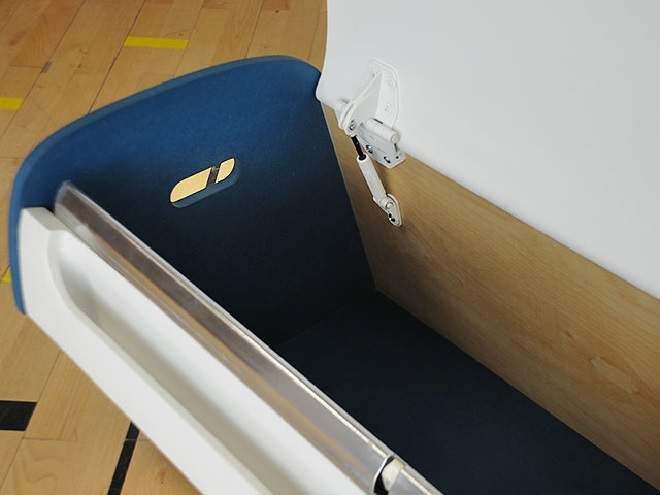 It is the perfect seating height and can also be used for stowage/storage. A definite aircraft feel to this. 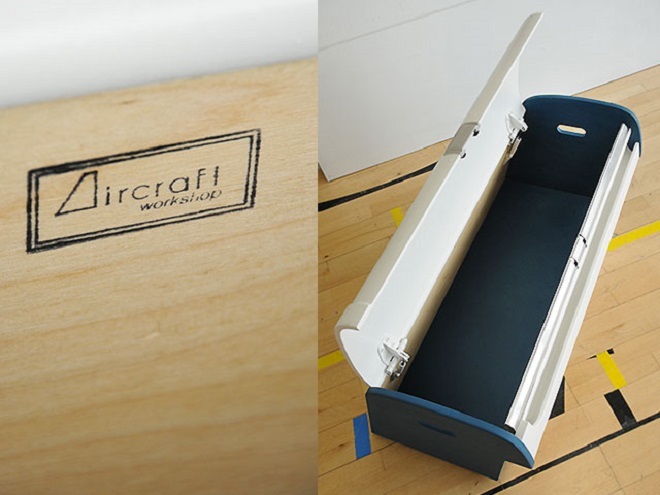 Built from the cabin storage lid and accessories from an Airbus A320 along with birch-ply and recycled valchromat composite wood.